Back on August 21st 2015 we reported on the start of the Operational Support Team initiative driven by @LaughingTrendy, a player-supported bug reporting and dev-managed application process. What sets this apart from previous efforts is that the developers are actively experiencing and watching the issues as they happen, while the reporting players have been given access to a formal reporting process and private blog. The effort is very horizontal impacting players from role players to the DPS crowd. And it’s something every player wants to know more about. In our initial report, we saw rapid changes and a few role-backs. Since that time the Bugsmasher teams have been relatively quiet, and the process has been protected (for many reasons) behind a private forum. @LaughingTrendy took the time to answer a few questions to bring us up to speed on their process. Q1: Looking back over the last month, how would you characterize the status of the project in terms of identifying issues? 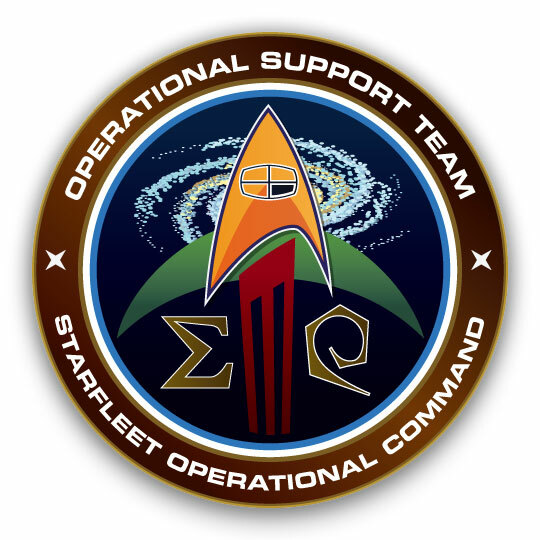 The entire Operational Support team really was something that not only I was excited about, but also QueenVaccine (STO’s Lead QA). We’ve been working together to craft the initiative and it has paid off. We’ve made it efficient, which has lead to some really awesome player/dev interactions to hunt down bugs. I’ve gotten to see bugs reported by players in the Operational Support team get checked in, worked on, and had fixes that have already hit Tribble. I’m thrilled. Q2: How many players are now part of the process? Can you talk about a few of the standout participants? We have a few dozen players that are part of the initiative. I’ve definitely seen some participants that have lead the charge, even helping refine the process further. Q3: In terms of visible changes, can you give examples driven by the initiative that should be visible to the player-base? Laughing and I chatted for a bit, and her response is best summed up by this weeks Tribble Patch notes. Q4: How has the collaborative process worked in terms in identifying issues? Originally the process was a very standardized set of issues that members would report in and we’d confirm or try to seek out more details. It’s organically evolved to include other members helping add data to bugs that are reported, clarify repro steps, and shine more light on it. It’s now not just a collaborative player-developer process, but a player-player process. Q5: Has the new initiative presented any challenges? Not really challenges necessarily. As I’ve never constructed something like this before, I did need to spend some time going through iterations and defining it. It wasn’t hard, but it did take time and due diligence to make sure it would work right. We chatted about the initiatives and the extra time it’s taken to get it off the ground: Normally when I integrate a project, I go through these iterations in a standardized process. This was something I burned some midnight oil on to make happen as quickly as it did, because this was something I really felt the community wanted to see. I’m glad I did. Q6.1: In the absence of updates some vocal players feel left out, references to Secret Societies hidden behind password protected forums leads some to question “what’s happening?”. Identifying new exploits aside , a obvious reason why you don’t socialize this type of information, can you speak to the necessity for keeping the process restricted to trusted partners? Exploits is the large reason. We’ve had exploits reported in from our group already, which is why I decided to make it a private initiative. The group is a very tight-knit set of people that work together on hunting these bugs down, and I want to afford them their own space to make that happen. Q6.2 Communication is key. Given that the initiative is a work in progress, do you plan to provide scheduled updates? I’ll probably be speaking more about it as it continues to grow. I’m not sure about regularly scheduled updates, but if the community wants to know more about it (besides exploits) I’m happy to talk more! Q7: How do you see this initiative scaling moving forward? and are you still looking for a few good testers? Right now I haven’t been scaling it up any bit because now that we have the process pretty refined, we’re getting into a rhythm for it. I want to give some time for people to (become) veterans and (develop) efficiency before I bring in new people. Are these players being primed as mentors for new testors at some point? I want to thank Morrigan (@LaughingTrendy) for taking the time to update us on the progress. Reblogged this on Captain Jan's Musings. And it just struck me – saying how tight knit the secret group is and exclusive doesnt really do anything to calm worries about whats going on. Well, it’as not as if they’re planning to secretly overthrow Starfleet 😉 The key issue is that they are finding the occasional exploit. As we saw with the disco ball explosion, players will not hesitate to use those exploits – especially if they can bring the game to a screaming halt. The sad truth is there are groups who have made it their goal to gain publicity by flaunting the games limitations. No need to empower them. Hey guys, it’s not some super secret team or anything like that. It is a group of regular (usually long term) players who run missions regularly and often enough to recognize what is broken and what is working as intended. Most of us are in large Fleets or part of large groups and get a lot of feedback from fellow players. Then we take the time to reproduce, record and submit in a fashion that makes it easy for a Developer to reproduce. Some reports have taken days of testing, recording results and uploading them for to easily review and recreate the problem. THAT to me has been the biggest issue is that is not always easy for Devs to recreate so we take the time to show them how and often record the results with videos, parses, etc. It isn’t as much a “secret society” as it is a group who has learned the way to properly submit thanks to some training by Trendy and QueenVaccine Regular Bug Reports I’ve done in the past wind up 3 pages back in 24 hours and you often wonder if they were even viewed. Now they let us know when the bug has been submitted to Devs and we can actually see the progress so those who spend lots of time in finding these issues do not feel as though the time has been wasted (I’m sure they were viewed before but the verifications by Trendy and Queen mean a lot!). I run in channels like DPS channels, Subcomms, PvP and am often on with the DPS After Dark team who spend hours trying to figure out why something is not working correctly. These teams help me in providing amazingly accurate insight as well as knowing the game mechanics so many who used to submit reports now work together with me showing what they have found so I can get it submitted in the Ops Support section. BTW…a special thanks for all the time and effort the DPS After Dark team puts into these efforts which has provided me with some amazingly accurate information to submit. Free labor! How could they turn it down? Basically Cryptic has gotten a bunch of players to do their jobs for them for free. Reporting bugs is fine but when you have to follow rules and methods Cryptic lays out for you then you have become an unpaid employee. If I notice an issue with my car and call the dealer that’s smart. If the dealer tricks me into test driving their cars in various conditions and different times to report on specific feelings and observations I am an idiot if not paid. Good point, but I don’t agree. This isn’t just about fixing problems; it’s about engaging the community. Would you prefer them not to engage, and occasional fix things, or would you prefer an active community engaged in the process? Given the choice, I’d prefer the later.